As there appears to be no picture of this lovely coach on OBP , I am attaching one. It has been in preservation for many years with Carmel Coaches of Northlew in Devon and can still be seen at local events in the West Country. It was for a while used on Dartmoor Summer Sunday services connecting with trains – and other bus services – at the then newly restored Southern Region station at Okehampton. Initially the route was the 174 to Moretonhampstead where it met the cross Dartmoor 82 between Exeter and Plymouth. 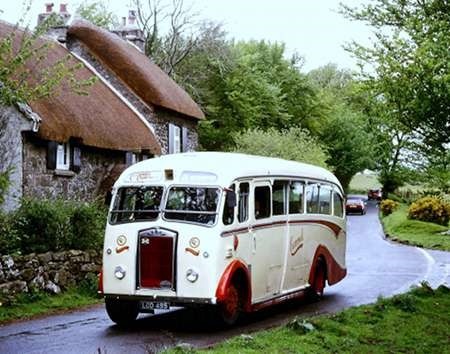 For a couple of glorious summers, the 174 was extended onto Widecombe in the Moor using some very narrow lanes. The Albion coped well with the lanes and the hills including the very steep one into Widecombe. One difficulty was with other traffic as visitors and indeed locals seemed to be unable/unwilling to reverse their vehicles in these lanes. This became a major problem when the Pony Club had their occasional meet on the Moor as their exodus with large vehicles or trailers – all at the same time – coincided with the last journey from Widecombe which had to connect with the said 82 and the last train at Okehampton. The owner of the Albion, who was the regular drive on almost every Summer Sunday over the years, was always patient and courteous and I am grateful to him for the opportunities to ride the coach. The photo is taken at Hound Tor before the steep descent into Widecombe. This is a Victor FT39N powered by the Albion 75 bhp 4.88 litre four cylinder diesel engine that was delivered new to Way of Crediton in 1950. I believe that the gearbox is a five speed constant mesh unit. Nowhere can I find the stated capacity of the Duple bodywork, but this was usually 31 or 33. My 1993 edition of Preserved Buses, Trolleys and Trams gives LOD 495 as an FT39AN with a Duple FC31F body. At risk of seeming foolish, did the A stand for Albion (engine)? Valorous belongs to the Wulfrunian school of bus naming & then Valkyrie? With whole dictionaries to go at! I’ll stick, BMW/Mercedes style with CVD6 and K6A! 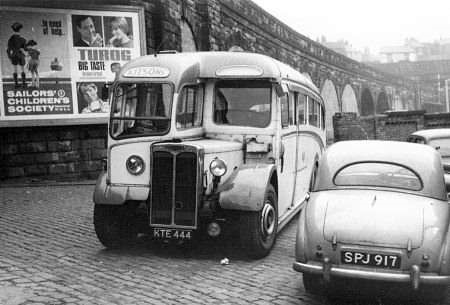 Possibly, Joe, but why didn’t the contemporary Albion engined Venturer CX19 and CX37, Valiant CX39, Viking CX41 (a variant of which was called the HD61 – again why?) and the experimental KP71NW have the ‘A’ also? The numbers, always odds rather than evens, seem to have had some sequential logic albeit with gaps, though the number 39 was duplicated for the Victor and Valiant models. Perhaps Bletchley Park could come up with the answers to the Albion nomenclature. In John Gillham’s book "Buses and Coaches 1945-1965", he says that the FT 39 Victor was introduced in early 1947, and that a modified version, known as the "FT 39 AN" appeared at the end of 1951, with the long wheelbase "FT 39 AL" following some three years later. The same thing happened to the Nimbus in 1960, when the NS3N was replaced by the NS3AN. I take this to mean that the A was just a spec-update marker, rather as Leyland would later use it on PSU3A (and on to G), AN68A etc. Roger, according to definitive book ‘Albion of Scotstoun’ (Adama & Milligan) the ‘A’ suffix indicated improvements to the previous version, including a larger wormwheel assembly on the rear axle, improved braking, heavier springs, flexible radiator tubes, improved fuel filtration and minor wheelbase alterations. The insertion of the ‘K’ before the ‘A’ indicated a later variant fitted with the larger EN287 5.5 litre engine (replacing the EN286 4.88 litre unit) and heavier front springs. Sorry to dive off the main subject but I just want to say how much I agree with Roger about Classic Bus magazine. Totally ruined by the Best Impressions outfit and a total rip-off based on the lack of content and acres of empty space on the pages. I have lapsed my subscription in disgust. There I feel better now! 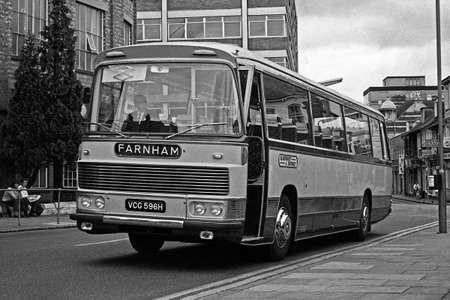 Interesting comment on Classic Bus as I feel it has gone the other way and improved enormously making it more readable and not just for the anorak which is where Gavin (an extremely knowledgeable guy) was taking it. Best forgotten is the editor in-between.